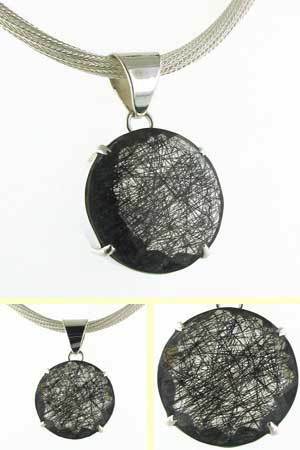 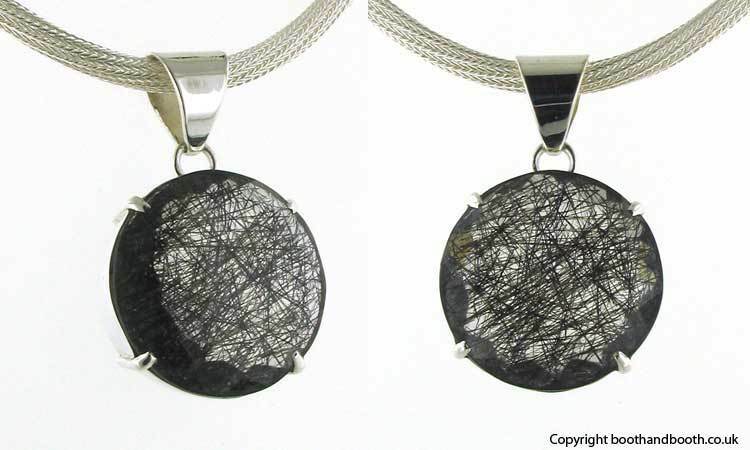 Large round black rutilated quartz pendant. 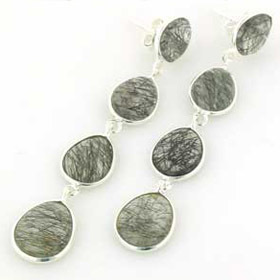 This beautiful faceted gemstone is a chunky piece claw set in sterling silver. 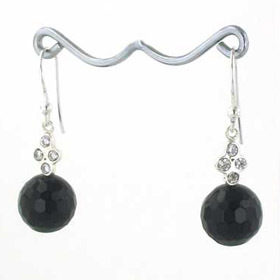 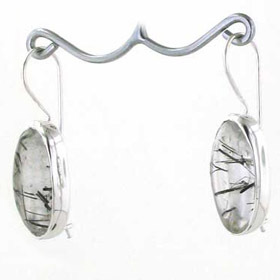 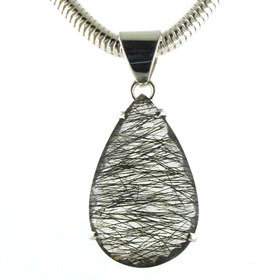 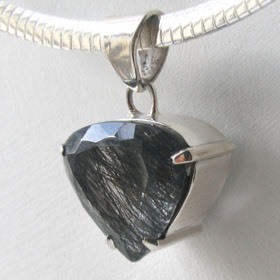 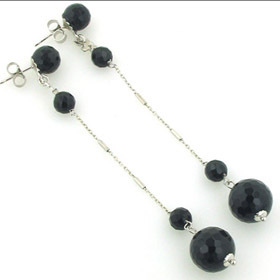 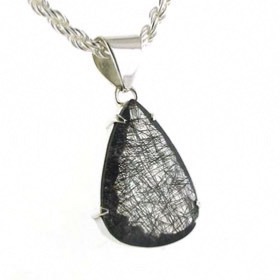 The gemstone is evenly spaced with a frenzy of black rutile needles suspended in clear crystal. 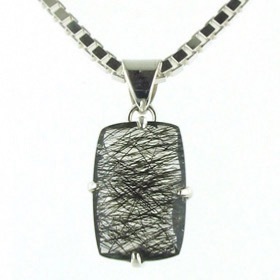 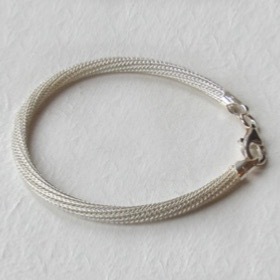 For the ideal silver chain to wear with this pendant see our collection of Italian sterling silver chains.